Discover Lehigh Valley® shares region’s best libations and tasting rooms perfect for a weekend pint. LEHIGH VALLEY, Pa., March 27, 2018 – Discover Lehigh Valley® the destination marketing organization dedicated to promoting tourism in Pennsylvania’s Lehigh and Northampton counties, also known as the Allentown-Bethlehem-Easton area, welcomes visitors to raise a glass of Lehigh Valley’s finest local brews on April 7, 2018, in celebration of National Beer Day, and to start planning their next escape to discover the region’s homegrown and delicious libations. Fegley&apos;s Bethlehem Brew Works – Established in 1998 by the Fegley Family, Bethlehem Brew Works captures the essence of Bethlehem&apos;s steel industry in a 250-seat brewpub that’s open all week. When the weather is warm, opt to sit outside along Main Street to enjoy Bethlehem&apos;s charm first-hand. Two Rivers Brewing Company – Offering up tasty craft beers and top-notch options to satisfy your hunger, Two Rivers Brewing Company proudly serves 10 varieties of their own award-winning, house-brewed beers on tap. With a full-service bar, that also features a prohibition era cocktail list, Two Rivers is a favorite among locals and visitors. Weyerbacher Brewing Company – The largest brewery in Lehigh Valley, Weyerbacher is widely known for their big, bold beers. If you’re stopping for a tour or sample at the tasting room, locals would recommend the Blithering Idiot, Last Chance IPA, Sunday Morning Stout or Merry Monks – just to name a few. HiJinx Brewing Company – Born out of a fierce passion for great beer, HiJinx Brewing Company is known for experimenting with flavors. 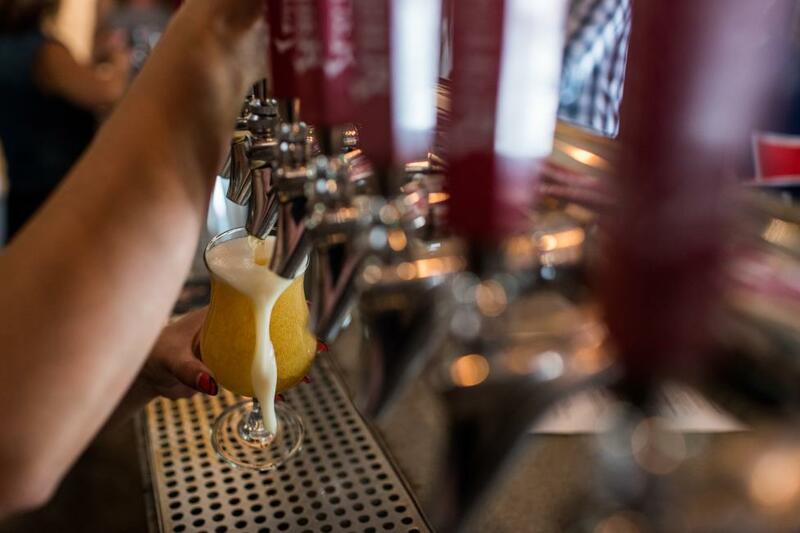 Whether you&apos;re craving a Citra Squeeze IPA, a Wicked White Witbier, or a Barista&apos;s Choice Porter, you&apos;ll find something to satisfy your taste buds. Yergey Brewing – Owned and brewed by retired chemist Jim Yergey, Yergey Brewing has a comfortable environment and diverse styles of beer. Known for its award-winning beer, Hoptileitious, Yergey Brewing has become a staple in Lehigh Valley. Looking for even more local beers? Lehigh Valley breweries also include Separatist Beer Project, Funk Brewing Company, Hop Hill Brewing Company, Lost Tavern Brewery, and Bonn Place Brewing Company for over fifteen locations. Lehigh Valley Wine Trail – Become a wine connoisseur while visiting eight family-owned vineyards and wineries along the Lehigh Valley Wine Trail. Sample a collection of award-winning wines made from a variety of grapes, including Lehigh Valley’s signature Chambourcin grape. Eight Oaks Craft Distillers – With all of their grains grown and products crafted on-site, Eight Oaks Craft Distillers is a favorite of Lehigh Valley locals. Relax in Eight Oaks’ tasting room and sip on applejack, the signature spirit of Lehigh Valley. For more information on Lehigh Valley’s libations scene, visit DiscoverLehighValley.com or for photos of these locations, click here. Follow @LehighValleyPa on Facebook, Instagram, and Twitter.